Seems I have yet to update this. It's all running now with a 3d printed body. Will get some photos up later on today. Runs very nicely. The Awd vastly improved corner entry and exit speeds, as well as acceleration in the straights. 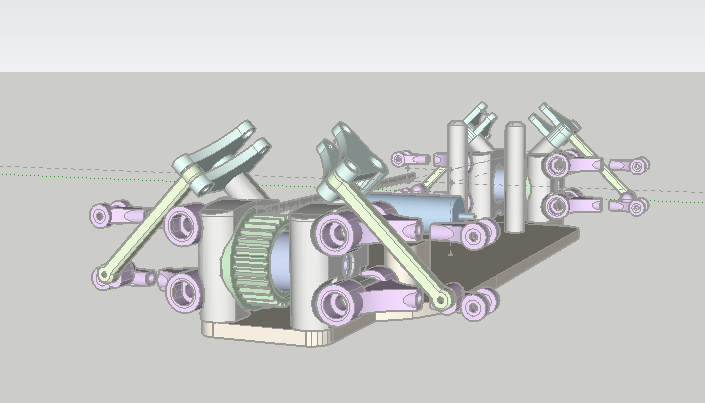 Been a while since I've updated this thread, made some progress on the chassis. Obviously the biggest change was going to horizontally mounted shocks. 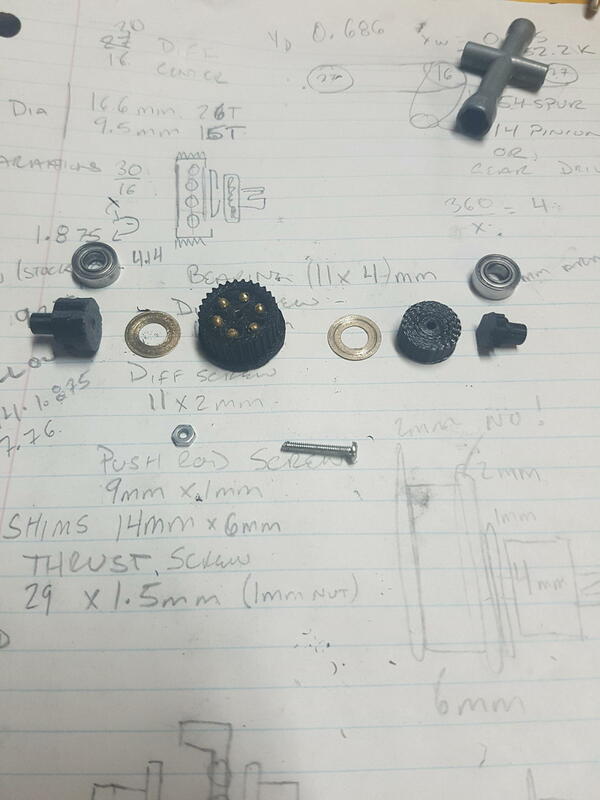 Ended up breaking the motor, was cogging very badly and upon inspection one of the leads was broken off the motor windings, and could not get it to work correctly. So took the opportunity to order an esc as well so now I can have reverse, which will be a nice feature. Man its a ghost town around here..
Made some progress on the body. Fixed the body posts so now that the body sits nicely I decided to do some body work on it, make it look more scale. Not quite finished yet, I did the rear, side, and front widebody pieces separately so I could piece them together and made changes. Got everything figured out for the most part have to do a little more work on the front quarter to close up some of the fender gap around the front and rear. But overall super happy with how it has come so far, not bad for eyeballing measurements and body curves. Also added a custom front and rear license plate, i've used 2FAST4U as a custom licence plate in every racing game thats let you change it, so I thought I'd carry it forward here. Added mirrors, which are screwed into the body (inside out). Added a front spliter as well as a rear diffuser, rear diffuser is glued in place with shoe goo, the front is not yet attached. I think im going to trim a bit off the front of the body, Its fairly low sitting and would like a few more mm's of ground clearance. Enjoy, and feel free to comment, as always. Well I finally got my esc and motor in, good job HK, only took 1.5 months lol. The esc is A LOT bigger than I expected. I forgot how big stuff is I guess after working with micro scale for so long. Probably going to have to re design the chassis a bit so I can get everything as low and center as possible. As of right now everything is on the upper chassis brace just for testing. It all works, and the esc programmed up no problem. Happy with everything as of right now. Maybe ill get to it this weekend, schools super busy so Im not sure I can afford the time to do other things. 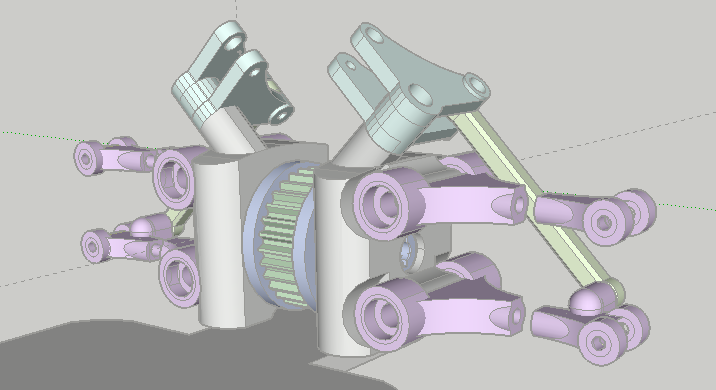 So Im trying this new approach, Design a million times, print once ahah, to avoid the 8 prototype chassis, 2 sets of rims multiple top braces ordeal that I had previously. 1. adjustable camber (stance nation obv)..
2. 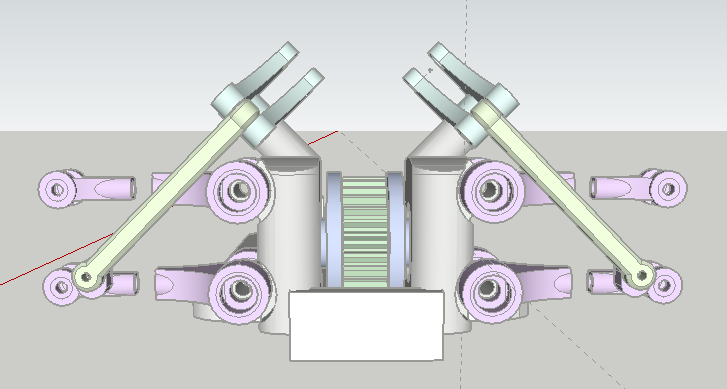 Ball diff is wider than stock diff by ~3 mm's so adjustable length arms will keep my track width the same, but allow for the bigger diff. Still not 100% sure on the ball diff design. 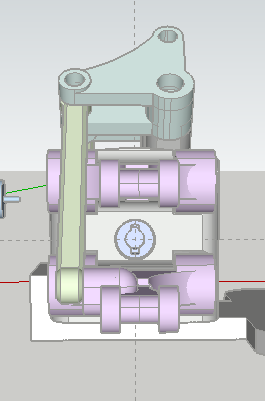 Its very common that the belt sits on left or right side of the diff housing, to allow for the center pulley to accommodate both belts ie, rear belt on left, front belt on right. 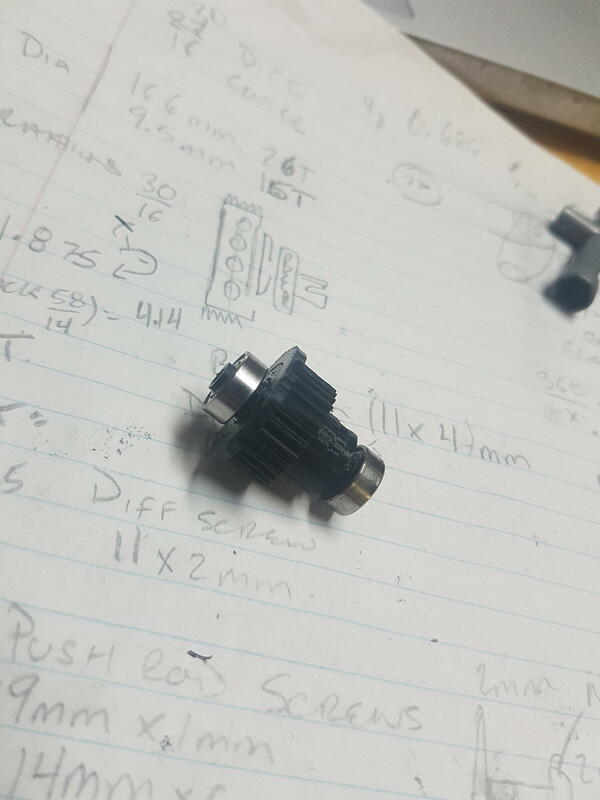 So I will most likely be changing that, I also think I'm going to need a tightening screw in my diff, Im skeptical about the pressure being enough. Anyway here is what I have so far..
Alrighty, so here is what I have done so far. Ball Diff is complete. Lets hope it stands up to some power. A LOT of ingenuity on my end had to go into designing it so that it works the way it should as well as dealing with working on such a small scale. It is now secured with a nut and bolt, might swap over to a nylon locking nut for something more rugged. 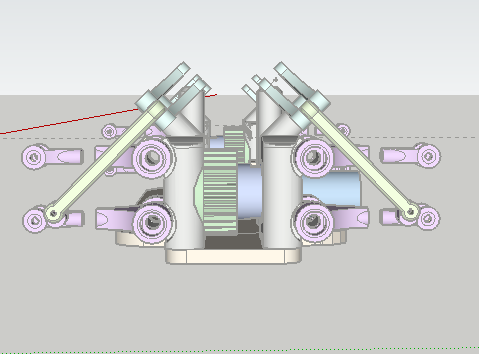 Got my gear ratios worked out so now I am turning my attention to the center pulley and the spur gear (completely belt driven). This will get done tomorrow hopefully than maybe sunday (fingers crossed) I can have it running. Thats a very optimistic fingers crossed though..
Well I *Finally* have something to show. Digging the purple/black colour scheme actually.